Place garlic on cutting board and surround on three sides with black foam board. Turn off any ambient lighting. With camera on tripod, shoot a series of images in aperture mode while moving the position of the handheld flash for each shot. The chiaroscuro (dark-light) technique in the visual arts is characterized by the use of strong contrasts between light and dark. The use of the chiaroscuro technique in food photography results in sharp contrast that emphasizes textures and also adds a bit of intrigue. While this style of image is typically shot in natural light, I chose to experiment with flash. The set up for this image is simple: garlic cloves were placed on a wooden cutting board and the cutting board was surrounded on three sides with pieces of black foam board. This image was shot in a darkened room, using a single handheld Canon 580EXII flash as the light source. With my Canon 7D on a tripod, I took a series of shots while holding the flash at different positions near the scene. You can create a seemingly infinite number of light and shadow combinations by experimenting with the angle and distance of the flash as well as the position(s) of the black foam board. As you can see from the shadows in this particular image, the flash was positioned at approximately 7:00 relative to the cutting board and was held at a low angle. This provides strong side-lighting on the garlic without opening up too much of the shadow detail. The shadow area at the back of the image was further darkened in Adobe Lightroom. Dark, moody, food photographs are a popular trend and a quick internet search will provide plenty of inspiration such as this collection on Pinterest. 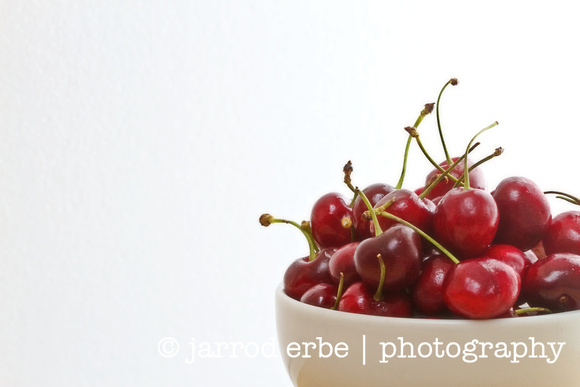 For more beautiful examples of chiaroscuro food photography, check out Nadine Greef’s work.